The IF function is one of the common excel formulas, and it allows you to make logical comparisons between a value and what you expect. In its simplest form, the IF function says: IF (something is true, then do something, otherwise do something else). So, an IF statement can have two results. The first result is IF your comparison is true, then secondly IF your comparison false. The IF function in excel can be used to evaluate both text and values. It can also be used to evaluate errors. If you are going to use the text in excel formulas, you need to wrap the text in quotes e.g. “sample text”. The only exception to that is using true or false, which is excel automatically understands. Non-numeric criteria needs to be enclosed in double quotes, but numeric criteria does not (multiple if statements in excel). Check out some of the basic excel functions with examples. = Count IF (A1:A10, 100) // count cells equal to 100. = Count IF (A1:A10, “>32”) // count cells greater than 32. These is known as greater than or equal operation to in excel. An external cell reference in MS Excel is nothing more than a reference from one cell to another or a range of cells outside the current worksheet. When it comes to adding a reference to another worksheet, switch to that sheet and select a cell or a range of cells you want to refer to. Finish typing the formula and press the “enter” key to complete it. Start by typing the formula = 20%* in the cell B2 on sheet VAT. Switch to sheet sales, and click on the cell B2 there. MS Excel will immediately insert an external reference to that cell. 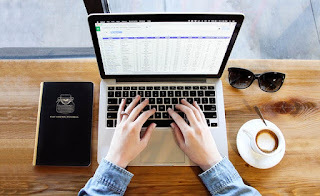 If you want to learn MS Excel shortcut keys and all the formulas, stay tuned for my next article which is going to cover the most important formulas in MS Excel you would love to learn.